For grant information by county or city as well as 100% financing programs please call Michael Christian at: 801-870-9669. He will be able to further assist you and help you apply for specific grants you may qualify for. To search ALL AVAILABLE homes for sale in Utah, please use our exclusive search tool below. Search Layton Homes for sale as well as other Utah -Real Estate by using our exclusive search tool above. New grants for 2013 just released. Be the first in line for next years Utah home buying grants. If you are searching for Utah Home For Sale. Call Justin Robins at: 801-499-0214 or Michael Christian at: 801-870-9669 to find out specific grants in your area. Thinking of change? Search beautiful Chattanooga Tennessee Real Estate or Knoxville Homes. We also have sites for searching Ogden Utah Homes, Draper Utah Homes, Salt Lake City Homes, and Sandy Utah Homes. We offer a full line of home searches for many of the major real estate markets! Check back often for new home sites that we post as well as new grants for buying homes. New Utah Home Grants Available For 2012!!! So I was just informed today that Weber County will be continuing their grants for 2012. I believe it is up to $5,000 and good for all cities but Ogden. I will have to double check. Spots are limited though. If you plan on buying a home in Weber County and taking advantage of this grant you need to act quick, because they do require a one day class. Then the certificate of completion is mailed to you in about two weeks. Can't make an offer till you have that in hand. Davis County has a new grant and it is in the final stages for approval. Davis County grants always go quick and this one won't be an exception. I do know that it has a few cities (such as any Home in Layton) that do not qualify, but I will post more as the details are announced. ***PLEASE DON'T FORGET TO REVIEW OUR PREVIOUS POSTS. NAMES & PHONE NUMBERS OF CITY/COUNTY HOME BUYING GRANTS ARE POSTED! This above article goes to show why now is the time to buy. These tough times for those trying to sell their home has made it to be one of the best times for those looking to buy a Utah Home For Sale and combined with rates at or below 4% I don't see how anyone could go wrong purchasing Utah Real Estate right now. Remember to view the older posts on our blog. They contain Utah home grants and down payment program information. Including grants listed by cities and counties including phone numbers. I am always looking for new grants that are available so that I can share them with the readers. Does anyone know of grants or down payment programs that I do not have listed below? Must be for Utah only. Down payment loan programs work as well. Share your knowledge! Here are a few programs that I have found in addition to my last post on grants for Utah Real Estate. Property must be located in targeted rural area. Great 30 year fixed loan program with 0 Down Payment for veterans or active military personnel in Army, Navy, Marine Corps, Air Force, Coast Guard, and National Guard. Fair to marginal credit may qualify. You can reach Michael Christian at: 801-870-9669 for more information and loan programs. 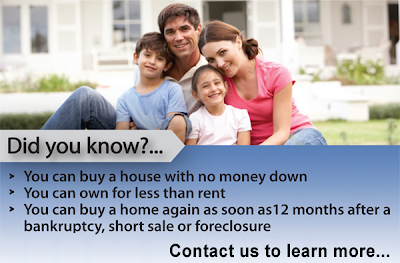 ***Also see our post below for additional Utah Home Grant programs and Down Payment programs. Everywhere you look you seem to see grants & down payment programs advertised, but when you try to find these programs they seem not to exist. I am putting together this blog to make it easy to find available Utah home grants and down payment assistants programs. The biggest thing to remember when searching for Utah home grants and Utah down payment assistance programs is that they run out of money quickly and most have income caps on them. There is also another loan program through the USDA that allows for 100% financing as well, but the areas it allow are more rural like parts of Cache County & Utah County. Now that you have the information for Utah home grants it's time to start looking for that dream home! Start your search below. A list of available grants for Utah. I am the owner of UtahHomesToGo.com and have built one of the most successful real estate teams in the state. My team of 12 agents and I have helped hundreds of people buy/sell their home and we look forward to helping hundreds of more live the American dream! In this challenging market, we strive to give our clients the personal attention they deserve and the absolute very best service available. If you are a homeowner preparing to sell, we'll help you understand the market and achieve your goal of getting your home sold for the most amount of money, with least amount of time. If you are a buyer preparing to purchase a home, we will ensure that you don't pay too much and we'll make the buying process smooth from start to finish. Buying or selling a home is a very important step in your life and we understand the needs of our clients and provide you with the very best service possible. We would love to have the opportunity to share our knowledge of this market with you and help you with the largest transaction of your life. We look forward to speaking with you!